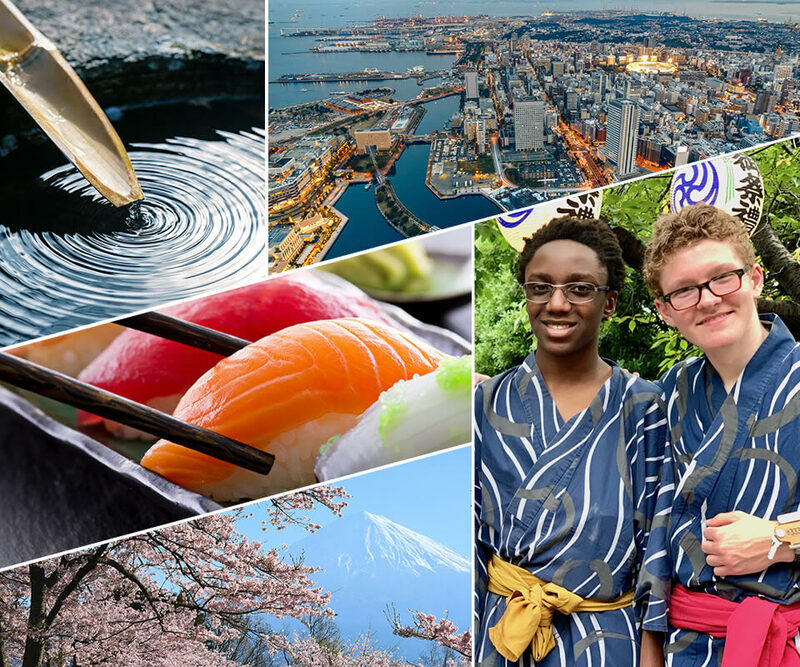 Immerse yourself in Japanese culture through volunteer activities, meeting local Japanese people, and unique sightseeing opportunities. Learn Japanese or improve your language skills, not only with daily classes from experienced professional teachers but also through school and home visits. Kyoto is world-renown for its beautiful shrines, temples, and Japanese gardens. Explore the cultural heart of Japan and be charmed by Kyoto’s many traditional delights. What makes Ayusa so special? We pride ourselves in not only teaching you Japanese, but providing you with a complete cultural immersion experience. 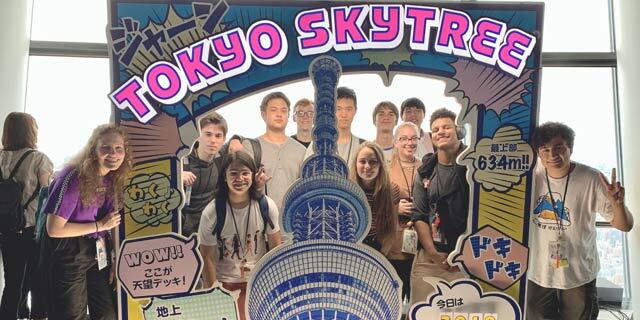 Through daily excursions, such as going to a traditional Japanese hot spring, students will learn the cultural differences between America and Japan. However, anyone can provide tourist-like activities. Unlike other programs, Ayusa offers various opportunities to interact with local Japanese people. Volunteer at Japanese elementary schools, make friends at a Japanese high school, and visit real Japanese households. 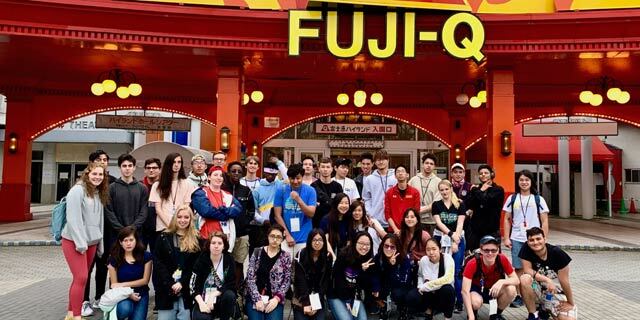 Just as Ayusa students from Japan have been able to fully experience America through personal interactions, we now provide you with the chance to do the same in Japan. Enjoy cultural exchanges with Japanese locals through volunteer activities and high school visits, all while improving your Japanese. Gain valuable volunteering experience by teaching and planning activities for Japanese children. 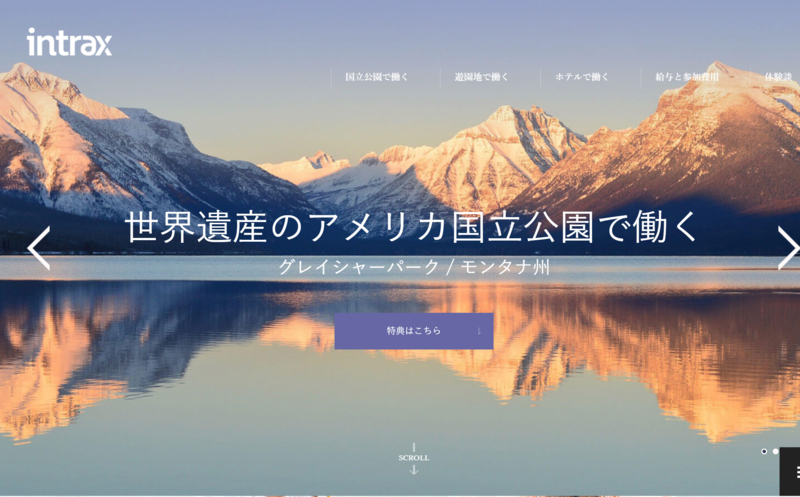 People that are interested in working in Japan in the future or who want a global volunteer experience can use this to their advantage. Japanese teachers are all certified with many years of experience and classes have a student-to-teacher ratio of about 10:1. 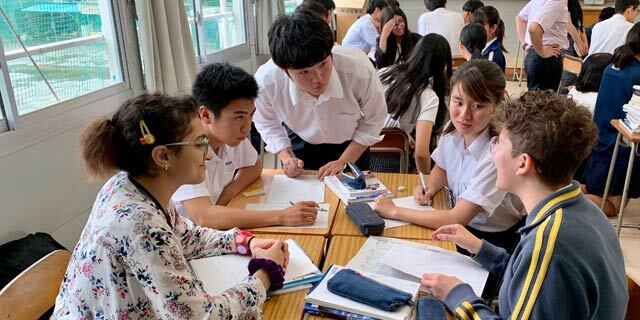 Deepen your exchange experience by visiting a Japanese high school and a local home and making lifelong friends. Visit a museum dedicated to your favorite anime or manga, the Buddhist temple in Asakusa, the fashion district of Harajuku, and much more. 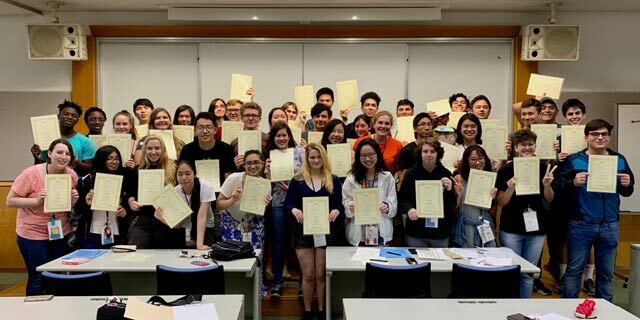 Learn or improve your Japanese and make lifelong friends through an unforgettable three weeks in Japan. Visit the world-famous Fuji-Q Highland Amusement Park known for its intense and thrilling roller coasters and haunted houses. Located near the base of Mt. Fuji, enjoy spectacular views while riding some of the tallest, fastest, and steepest roller coasters in the world. Housing is at the National Olympics Memorial Youth Center located in central Tokyo. There are laundry facilities, and Internet access is available. Breakfast and dinner will be provided daily. Students are responsible for all other meals. 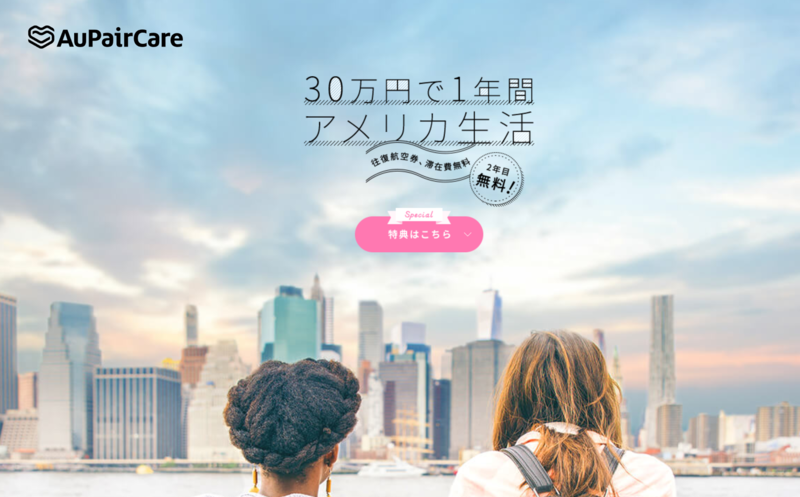 Fee includes: Housing, meals except lunch, Japanese language classes, volunteer, high school visit, home visit, activities, local transportation, and 24-hour supervision. Deadline extended to April 30, 2019. City Tour of Tokyo, Fuji-Q Highland Amusement Park, Odaiba Oedo Onsen (hot springs), volunteer, local high school visit, home visit. Fee includes: Guided tour, housing, meals except lunch, activities, round-trip bullet train from Tokyo to Kyoto, local transportation, and private bus. and to receive a tentative 2019 Summer Camp itinerary. 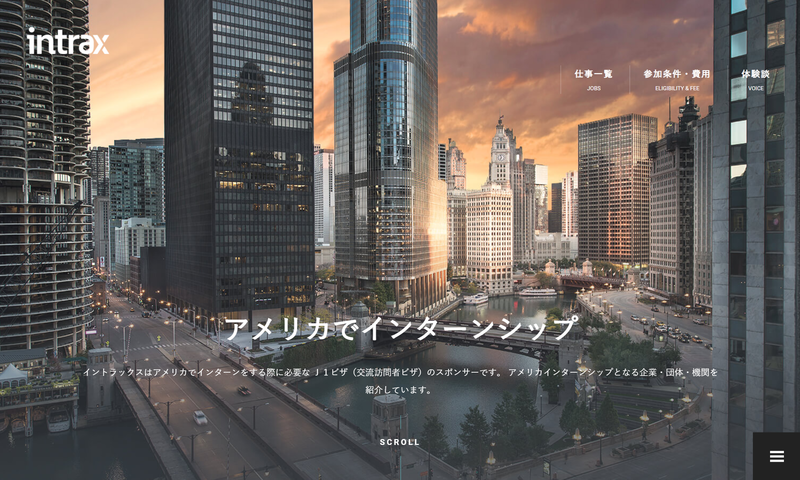 © 2017 Ayusa International Japan. All Rights Reserved.